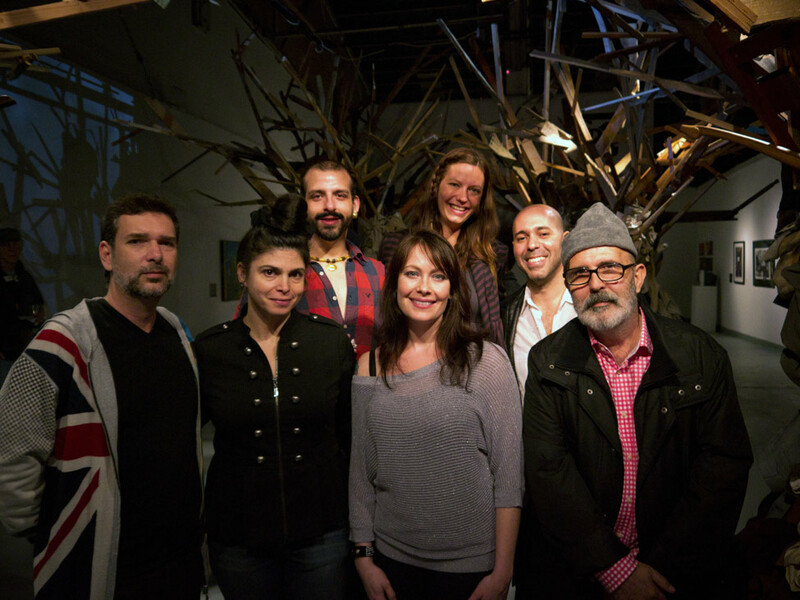 Earlier this month, graduate students of FSU’s studio art program worked with internationally recognized artists Guerra de la Paz to create a large scale installation using second hand and recycled materials. Guerra de la Paz is the composite name that represents the creative team efforts of Cuban born artists Alain Guerra and Neraldo de la Paz who live and work in Miami and have been collaborating since 1996. Their work is based on a combination of traditional disciplines and experimentation with dimension and the use of unconventional materials. It is inspired by an essential familiarity with the ready-made and the archaeological qualities that found objects possess. Encapsulating an energy that reveals underlying meanings and depicts the significance of mass-produced refuse on our society. The opening reception will be held at 621 Gallery on Friday, February 24, 2012. The gallery will be open for first Friday, March 2, 2012 from 7:00pm to 9:00pm and will be up through the month of March. 621 Gallery is located in Railroad Square Park at 621 Industrial Drive in Tallahassee. Established as a non-profit organization in 1989, 621 Gallery is committed to bringing contemporary art, artists, ideas, and programs to the Tallahassee area as well as the North Florida and South Georgia regions.